Trumpeter Charles Tolliver is one of those musicians that frequently gets overlooked by writers and listeners. I think of Tolliver's trumpet playing as smack dab in the middle of Freddie Hubbard and Woody Shaw; he has wonderful vocabulary in his playing, and a lot of passion(Hubbard), but also a very clean articulation and technique, and also logic in his solos(Shaw). Above all, he is a very musical player, and at times, I liken him to saxophonist Wayne Shorter, who improvises like a composer. And Tolliver is a prolific composer. He is also a pioneer in the music business, if you consider that he and Stanley Cowell were some of the first jazz artists to start their own label in the 70's(Strata East). Whenever people ask me my top 10 favorite jazz albums, Charles Tolliver's Paper Man is always on that list. I first heard it when I was in college, and I'm still not tired of it. It's one of those magical lineups that is in some ways expected, but in this case, produced something extraordinary. 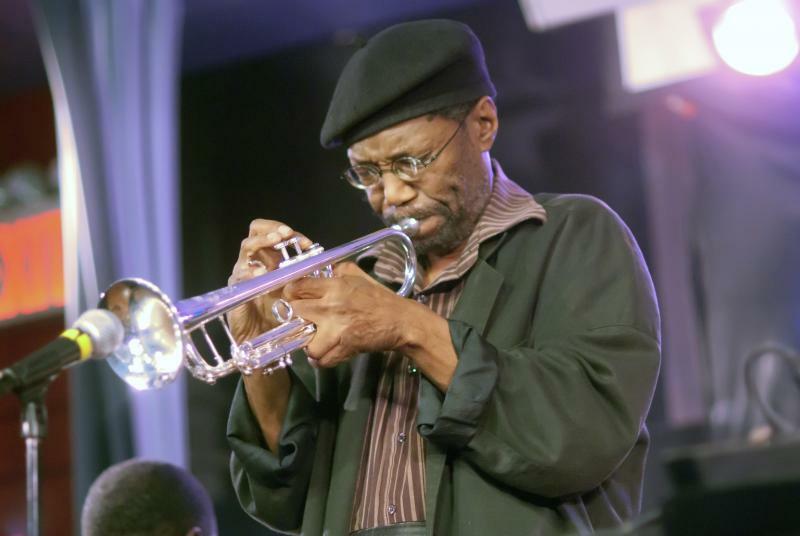 Charles Tolliver is well featured and well recorded on trumpet, and all the compositions are from his pen. The one and only Herbie Hancock plays a piano which, for my ears, sounds almost like an upright at times, and perhaps not a well maintained one. Whatever the case, it's relevant for no more than a split second, because Hancock's playing seems extra inspired throughout the session. The great Ron Carter plays some rhythmic and harmonic ideas that are downright shocking. 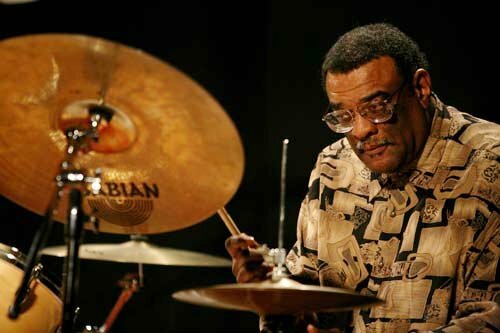 And the amazing Joe Chambers adds a superbly sensitive rhythmic foundation with his supple drumming. My former employer Gary Bartz appears on three tracks and is in great form as usual. If you have Paper Man in your collection, I hope the following writing will inspire you to dig it out and listen along. If you don't have it, it's really hard to find. ( It was also released as Charles Tolliver and his All Stars on the Black Lion label.) For some weird reason, this masterpiece is not available on Itunes. What a shame! The first track, "Earl's World", is a bold opening statement, a combination of heavy and light all at once. The tune is half 12/8 riff, half medium swing. I love tunes that get right to the point, and this one does. And it's a great vehicle for solos. Tolliver comes out with powerful ideas, and his solo is perfectly shaped, driven by the enthusiastic comping of Hancock and Chambers. Hancock's solo begins introspectively, with slick interpolations of 12/8, shifting into some ultra-slick metric modulations. Track Two, entitled "Peace With Myself", is a colorful waltz. Hancock's comping is extra-creative, and he and Carter share some humorous musical comments. It's amazing how strong the rhythm is on this track, and yet there is a lot of openess in the beat. At times, Chambers seems subdued, but when you realize how subtly musical his playing is, you just sit back and marvel at his tasteful musical reflexes. Hancock ventures into 20th century impressionism, reminiscent of his work with Miles Davis. Hancock's approach to rhythm is so multi-layered. (Sometimes I almost laugh when I read something like "Jazz Rhythm is primarily eighth notes." Whomever takes that to heart would be highly confused by this Herbie Hancock solo.) Ron Carter brings us down to nothing while Hancock and Chambers sound as if they are faraway ghosts. "Right Now", the third track, is a composition that originally appeared on a Jackie McLean recording(entitled Right Now.) I also recorded this tune on my third CD for the Steeplechase label back in the 90's. The form is basically a diminished scale line over an almost New Orleans type of syncopated rhythm. The bridge is a release into Bud Powell-like Bebop. This tension and release built into the structure makes it endlessly fun to improvise over. The melody statement in Tolliver's hands has a bold clarion call , like a call-to-arms, or maybe in this case, a call-to-play-some-jazz. Hancock's solo, combined with Carter's disruptively inventive hemiolas, and Chamber's perfectly swinging beat, is a thrill ride. Carter, quite a sober man personally, is almost comical in his comping here; at times, he almost sounds like he's in another room, it's that adventurous. This conflict continues on Tolliver's solo, building into a short but sweet Chambers drum solo. And the battle continues all the way to the vamp out. "Household of Saud" is a song dedicated to pianist McCoy Tyner, and this fourth track is where Gary Bartz makes this a quintet. This is one of my all-time favorite tracks; the melody is almost a Tyner lick harmonized in 4ths and made into a composition. It's hard swinging and intense. Tolliver sounds strong. Bartz's solo has a nonchalance about it; he's a master of sounding relaxed over intense rhythm sections. "Lil's Paradise" is a rather inventive tune, very expansive. It uses long pedal point sections over a relaxed jazz bossa type groove. Again, the musical teamwork is great. Bartz takes a lyrically beautiful solo. sounds great! i've never listened to tolliver that much. your description seems pretty spot on. thanks for this and the blog too. ive been reading it since ethan iverson linked to it. I am a fan of The Paperman-I have 2 copies on LP! 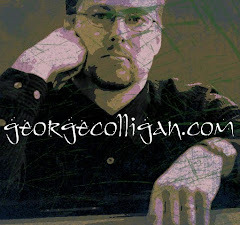 not sure if it's a Youtube issue, but is the 'George Colligan Trio Live In Italy Part 2' audio out of synch w the video ? Great site, great music ! it is really an wonderful, stunning, basic and heartfelt video of an great idea. I'm such a enthusiast of one's perform! I'd require a nip regarding sweet away a woods each day. Nice, enjoyable well-written review -- thanks for sharing. I happened across this site when I decided to listen to "Paper Man" for the first time in a year or two, and while listening I decided to do a Google search to see if this long out-of-print recording might have finally made it to CD. No luck -- but I found this page and was pleasantly surprised to find someone who loves this album like I do. When I was an adolescent in the 70's I used to borrow this LP from the local library all the time. I'd take it home and keep it for as long as I could (around 3 weeks), then return it to the library just before it was due, knowing from experience that it would be going back on the library shelves again in 2 or 3 days. That's when I would get on my bicycle amd make the one-mile ride to the library and check the album out again and start the process all over again. I did this many times with this LP because I liked it so much, along with others such as 'Bremen/Lausanne Solo Concerts' and 'The Koln Concert', both by Keith Jarrett, 'Big Fun' by Miles Davis, 'Misterioso' by Monk, 'Salle Pleyel' by Oscar Peterson and Joe Pass, 'Art of the Improvisors' by Ornette Coleman, and several others. I also liked this Charles Tolliver LP so much that many years ago I paid someone to transfer the LP to CD for me so I could listen to it again. That's what I was listening to when I came across your website here, which I look forward to exploring further. I really wish someone would release 'Paper Man' commercially on CD. My other favorite albums by Charles Tolliver are 'The Ringer' which is a quartet date with Stanley Cowell and others, and the big band album 'Impact' with Cowell, George Coleman, and others. Thanks again for sharing your enthusiasm about this great album, 'Paper Man'.